1) Overnight parking permission requests must be submitted prior to 2 A.M. of the day requested. DATES OF PARKING PERMISSION REQUESTS END ON THE LAST DAY PERMISSION IS REQUESTED (i.e. date at 2 A.M.) Citations issued between 2 A.M. and 6 A.M. will not be voided if the citation is issued prior to the time parking permission is requested. 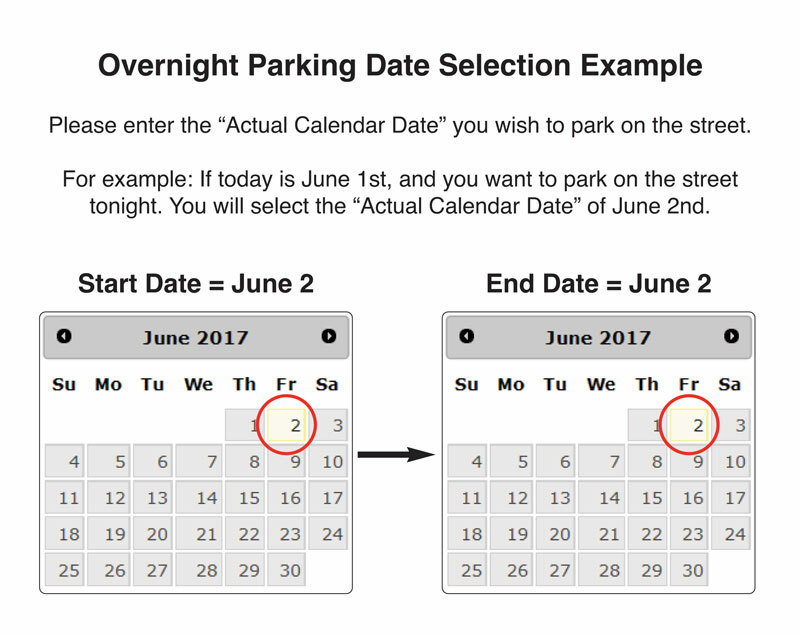 All vehicles receiving overnight parking permission MUST otherwise be parked legally (i.e. not in violation of posted signs, fire hydrants, etc.). Oversize vehicles such as trucks, RV’s, Commercial vehicles, and trailers must call 847-362-4449, press 5. Requests for parking permission in excess of three (3) days or for other questions, please call 847-362-4449, press 5. 2) MAXIMUM NUMBER OF DAYS OF PERMISSION - It will be the policy of the Vernon Hills Police Departrment to grant a resident no more than twenty-four (24) seperate nights ov overnight parking for each vehicle (registration plate) in a calendar year. 3) REGARDING SNOWFALLS - No vehicles are permitted to park on streets or roadways within the Village at any time within 12 hours after a snowfall of two inches or more. 4) Also, no matter where you park, please remember to keep it locked and keep valuables out of view. There's no need to make it easy for a car burglar.